Potion bottles are such a huge part of being a geek. We drink them in games to power up, get healthy, use magic, and get superpowers. 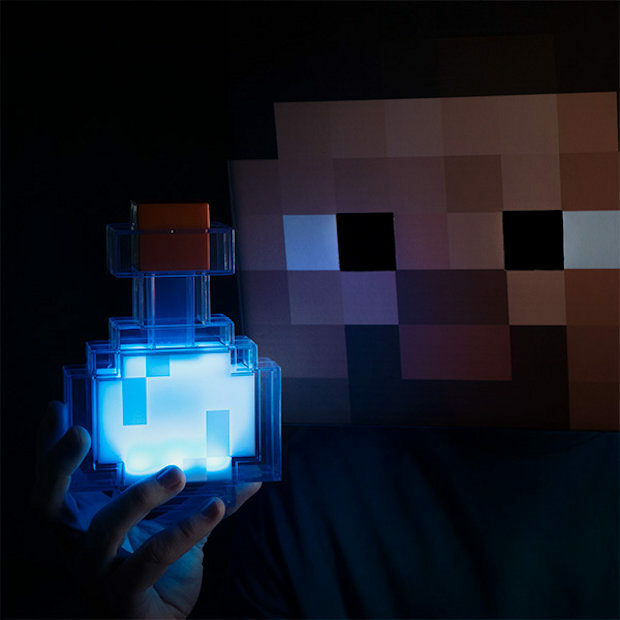 This Minecraft Color Changing Potion Bottle is a great way to decorate for your geek way of life. It lights up and switches between indigo, light blue, cyan, green, peach, yellow, red, and white. You can even tap it to move to the next color. It also has a 1-minute timeout to preserves battery life. Just touch it again to light it up. It is a must have for Minecraft fans. 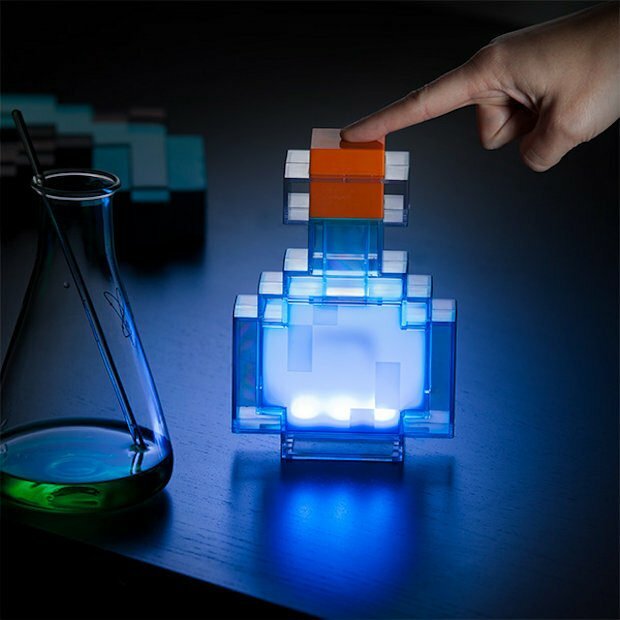 Get yourself one for $19.99(USD) from ThinkGeek.